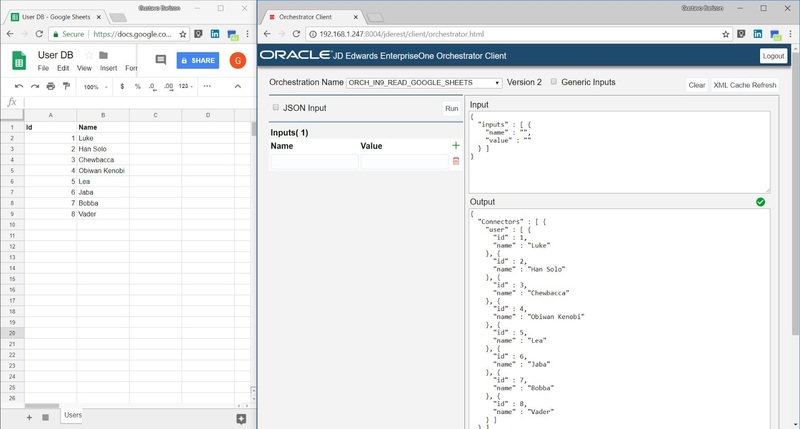 Orchestrator is a REST / JSON tool that exposes - and consume data from and to JD Edwards. With that said, you can easily consume data from REST / JSON sources like Google Sheets and MS Excel in Office 365. You just need a browser, Orchestrator and internet connectivity! You can do data loads, as well as write data into the spreadsheet as well.